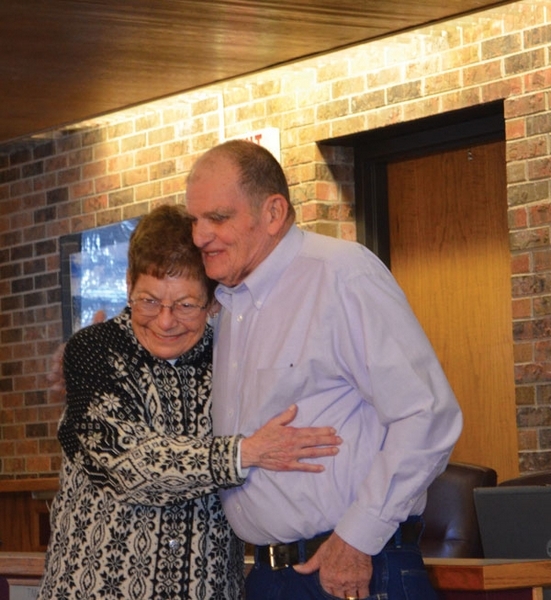 Applause erupted through the usually somber chamber of the Frisco Town Council Tuesday evening, as Mayor Gary Wilkinson handed Bill and Karen Pelham a commemorative plaque. The Pelhams moved to Summit County 19 years ago looking for a place to satisfy their love of the mountains. Today, they said they couldn’t imagine calling anywhere but Frisco their home. Town officials said Frisco has been better off since the Pelhams arrived. Karen Pelham started working for the Summit County School District in 1994. “During her time at Summit County Schools, she helped many kids develop a love for reading as a literacy resource teacher and reading specialist,” Wilkinson said. She retired from the district in 2007 but continued teaching as a substitute until last year. “Karen continues to be a positive role model, volunteering her time reading to kids in the county and impacting their lives in a positive way,” the mayor said. Bill Pelham has a list of service so long, it took several minutes for the mayor to read it. Bill Pelham worked on the Frisco town planning commission for 10 years, serving as chairman for six of them. He also served at different times as vice president and president of the Summit County School Board. He was elected as a Frisco Town Council member in 2004, and was mayor from 2008 to 2012. Town officials credit Bill Pelham’s leadership as the driving force behind the establishment of Frisco Adventure Park. Pelham is a member of the St. Anthony Summit Medical Center community board. He’s been a member of the Summit Foundation Board of Trustees, Bristlecone Health Services Board and Communities Accessing Resources Effectively. He’s also active in the Rotary Club of Summit County and the Dillon Optimist Club. Before moving to Frisco, Pelham said he had a career that didn’t allow him to spend much time serving the community. “One of my objectives when moving here was to spend some time and hopefully make a difference,” he said. The Town of Frisco chose to recognize the Pelhams as part of “Frisco’s Finest.” The awards were established to thank and honor citizens who are making a difference in the community.